The largest device database, with hundreds of specifications for each and every iOS device ever made. And tools to test and see all possible aspects of your hardware. Device database is updated a few days after Apple announces a new product, and is then available for download from the App. If you have any questions, feel free to send us a message, and our tech team will reply ASAP. 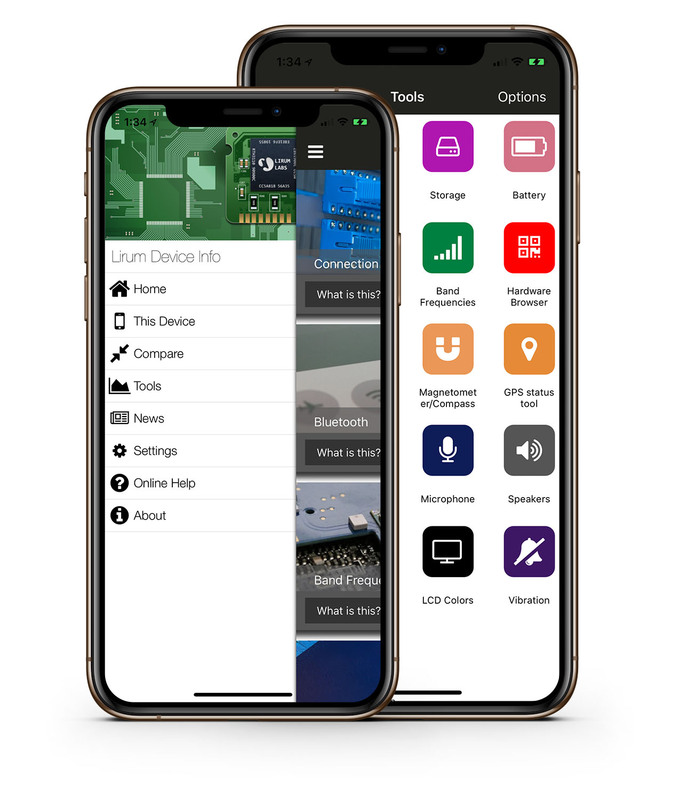 Exclusive tools: memory release, hardware browser (to check all electronic components, models and connections), bluetooth scanner, and more. Our Flagship app, in two versions: Lite and Full. Only at the Apple Store. 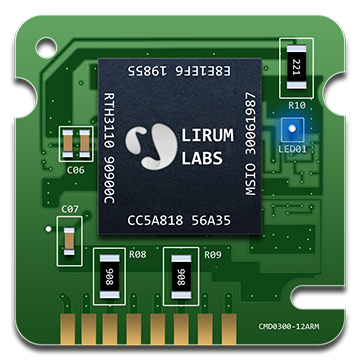 Lirum Device Info is the most complete and elegant application to retrieve real time status of your device. You will be able to monitor its performance, compare its specifications with other models and watch feedback from your device’s sensors in realtime..
Go outside and check the raw GPS information – high precision coordinates and parameters that you can share or store. 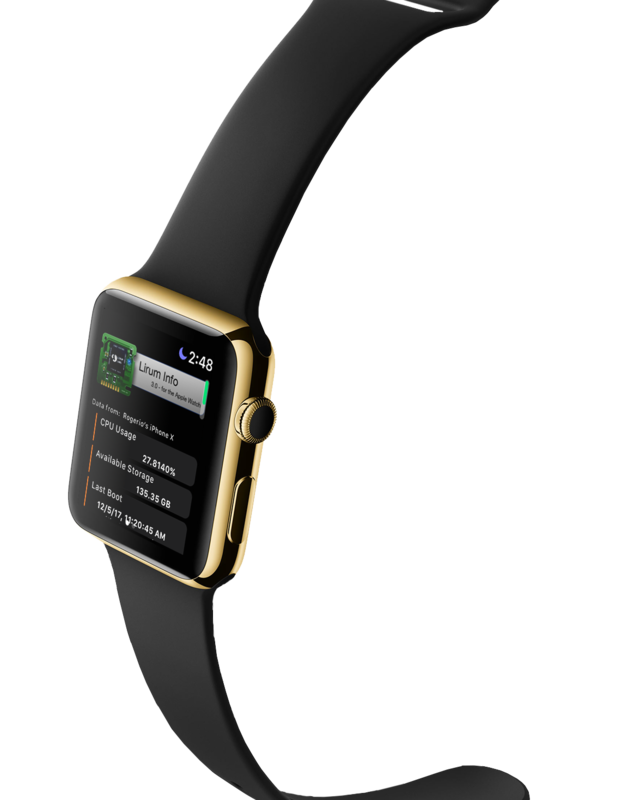 Lirum Device Info comes with an watchOS extensions, that shows RAM/CPU stats from your Apple Watch, and also, a live feed of selected stats from your host iPhone.